The Nations League tournament has been introduced and caused quite a stir amongst football fans. You can play just like your footballing heroes with this adidas UEFA Nations League 18/19 Mini Football. As the new competition that sees the men's national teams of the 55 member associations of UEFA compete to win the trophy this competition also helps to seed the teams for the qualification process of UEFA Euro 2020. This football isa replica of the ball used in the competition. 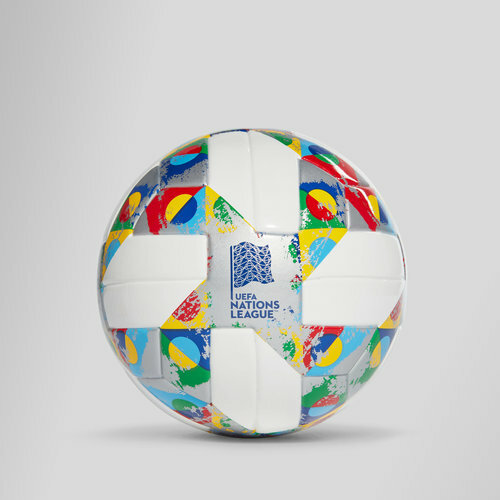 Featuring a traditional panel design and soft panels, the adidas UEFA Nations League 18-19 Top Glider soccer ball is machine-stitched.